Downtown Tampa is ready to be taken over by Gasparilla Music Festival, but are you ready to attend? Visit Tampa Bay has a pair of tickets for both days of the festival (March 12-13) and we&apos;re dying to give them away. 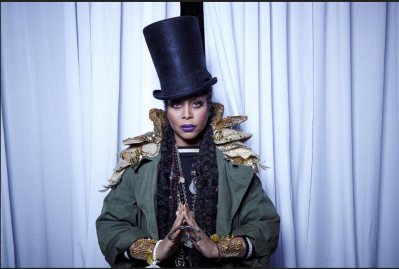 With headliners like Erykah Badu, MS MR and Talib Kweli performing in the heart of Tampa with the Hillsborough River as their backdrop, it&apos;s a weekend you won&apos;t want to miss. Check out the full lineup here, and if you’re looking to make your mouth water, you’ll want to scope out the list of food vendors, which includes some of our favorite restaurants in town. Use the form below to enter to win, but if you just can’t wait until Tuesday (3/9) to know, tickets won’t exactly break the bank. General admission for both days will cost you $60, or you could spring for VIP ($150 for both days) and get access to special viewing areas, three complimentary beverages and air conditioned restrooms. *Pro Tip: Share the link provided at the end with your friends and get 5 extra entries for every person that uses your link to enter!